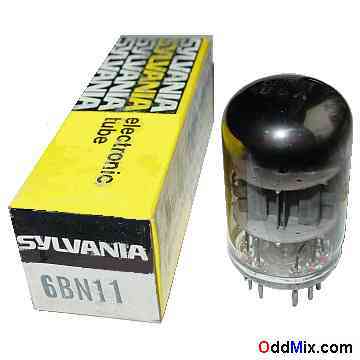 This is a genuine, original Sylvania 6BN11 GE beam power tube, sharp-cutoff pentode electronic vacuum tube. Developed for Class A power amplifier, oscillator, other use. Excellent for those antique radio and television restoration, ham projects, transmitters, circuit design and development or to set up a private vacuum tube museum. It is NOS compactron tube - New Old Stock, unused, boxed, in good condition. First come first serve only one historical vacuum tube available!